"We have worked with several Realtors over the past few years, and had been very happy with what we had thought was good service. The interesting thing is we were right we did know what good service was, it was just that we didn't know what excellent service was. Thankfully, we listed our home with you, and were able to experience what Excellent service is." – Tom and Stacy S.
"I have been very impressed with your own professionalism and efficiency and that of your team. You all work together so well - it's been a pleasure to partner with you. As it has been more than 30 years since I bought my one and only house, I would have been overwhelmed by what needed to be done without all your advice and help. Send future clients to me and I'll rave to them!" – Mary C.
"Paul and Jan show wisdom and knowledge in their actions and commitments to do what is right for families. They are involved not only for their clients but also to do the right thing that is honest. They come to the table doing what is right but also with integrity, that makes you proud to call them your friend and Realtor." – Peter L.
"Selling our home with Paul and Jan was a pleasure. They were in constant contact with us and I always felt like we were their only clients!" – Randi P.
"Again, I want to thank your team again for making this process so good. Each of you is always professional, prompt and extremely helpful. You have done wonders for our anxiety levels! Thank you." – Natalia T.
"As a first time home buyer, I did not know what to expect. Like anyone else buying a home for the first time, I was very nervous. Willis Real Estate worked with me to easy my mind and get me through a huge decision. They found me the perfect home at my own pace." – Jon P.
"I have used Paul and Jan in purchasing my home and two income properties. Each of the transactions went quite smoothly in large part because of the Willis’ expertise, professionalism, and through their knowledge of the market. In addition, all three of the purchases have worked out extremely well." – Bruce H.
"We absolutely love our new home. We appreciate all of the work your whole team put into making it happen. It is amazing how smooth it went and it was truly a pleasure doing business with you." – Jay & Sue M.
"We absolutely love our new home. We appreciate all of the work your whole team put into making it happen. It is amazing how smooth it went and it was truly a pleasure doing business with you." – Kurt, Maria & Gracie S.
"We absolutely love our new home. We appreciate all of the work your whole team put into making it happen. It is amazing how smooth it went and it was truly a pleasure doing business with you." – Dana & Kathy H.
Are you thinking of buying a home in the Gorham, ME or Greater Portland area? Thinking about selling real estate in the Gorham, ME or Greater Portland area? No matter which market you're in, you can use the marketing programs and experience of our team to help sell your home quickly and at the right price. Learn more about our service, see information about recent home sales in Gorham, ME and the Greater Portland Area, or contact us to get started today! Are you interested in more Gorham, ME or Greater Portland area details? Please take a minute and browse our local neighborhood and school details, real estate mortgage information and interactive maps for the Gorham, ME and Greater Portland market. Thank you for visiting 150209839.homesconnect.com! 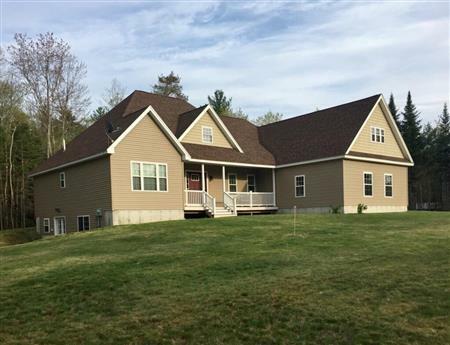 This is a one-stop real estate website for all your home buying and selling needs in Gorham, ME and Greater Portland area. We are a professional real estate team who will help make your search for a new home an enjoyable experience. Please feel free to contact us directly if you have any questions about the Gorham, ME or Greater Portland real estate market, or buying or selling a home.